Being born in the arctic in Barrow, Alaska, Jason Thomas of EatPiliNuts.com got to witness the original Keto eaters. 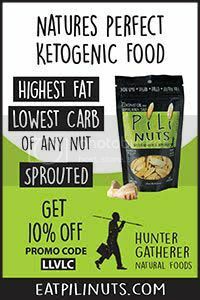 During his travels where he served as a mountain guide, fisherman, and kite surfing instructor, he discovered Pili Nuts, the perfect keto snack, and knew he had to share this discovery. The company he started, Hunter Gatherer, strives to bring you the Highest quality and healthiest nutritional products while being environmentally and socially conscious. Pili nuts are harvested from the wild and Hand-shucked one by one. Listen in today as Jimmy talks with Jason about his fascinating story of traveling the world, discovering the keto diet, fasting to overcome health issues and of course the wonderful Pili Nut.